I have to be honest, I have a thing for fake flowers. Mainly because it is winter here 80% of the time, and when flowers do come in season they last about 10 minutes. But not the fakies, they last for- like ever, and if you buy the nice ones some nearly look real! So what is a fake flower loving girl to do? 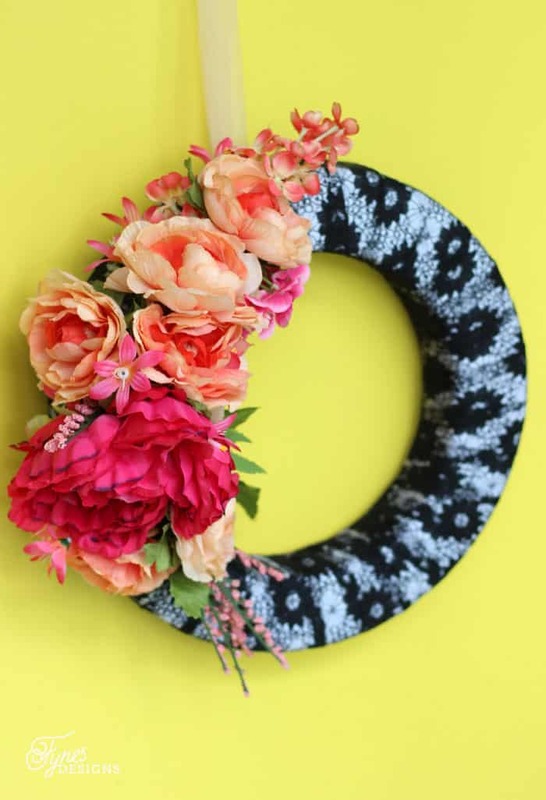 Make a fake flower wreath of course! This past spring when I attended SNAP conference, Jo-Ann Fabric and Crafts hosted the sweetest garden party. 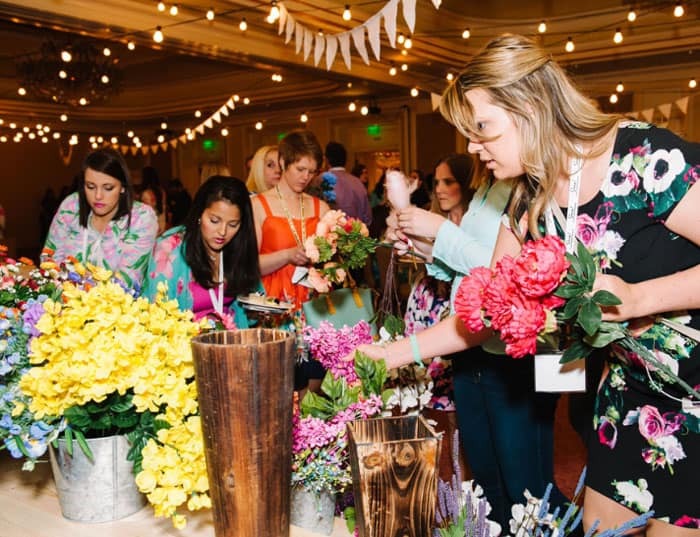 The planned it all so well with hand-tied bouquets, cotton candy, twinkle lights, dancing, and DIY floral crowns. They had an entire buffet of faux flowers to choose from, in every color of the rainbow. 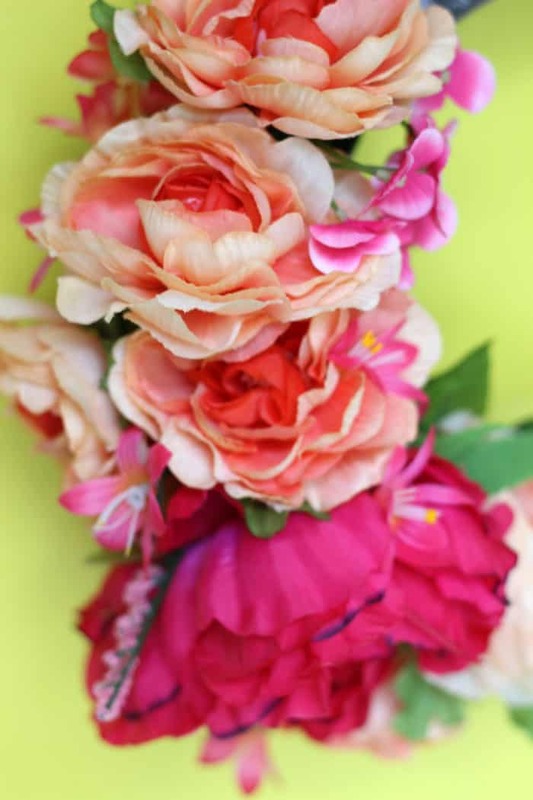 It was lovely to make an arrangement of your favourites and then create them into a fun floral crown. However, once the twinkle lights came down I realized that I look like the Chiquita banana lady wearing this monstrocity of blooms. Never in a million years would I pull this off outside of the garden party, where exactly does one wear this anyhow? After a few weeks of floating around the dining room table, I decided that Ms. floral crown needed a new life. It makes quite a lovely wreath doesn’t it?! 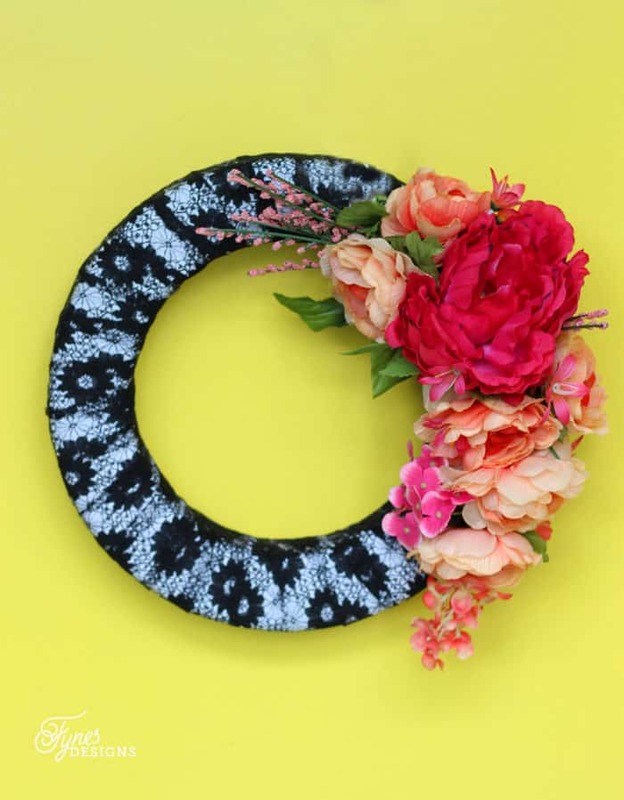 I simply used a Make It Fun Foam wreath form wrapped it with May Arts black floral lace. 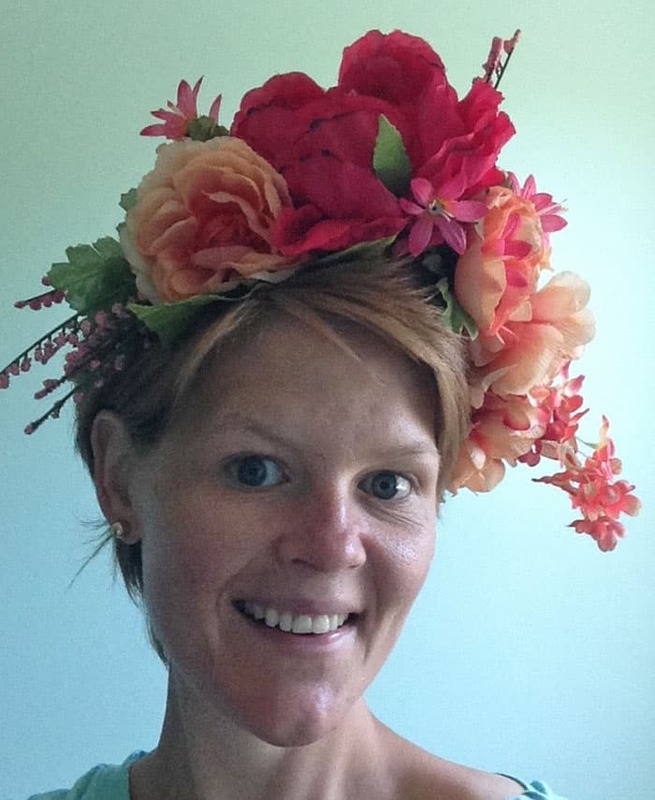 Then I snipped the wire of the floral crown, and arranged it on the side of the wreath. A few strands of floral wire wrapped directly around the bunch secured the blooms to the wreath form. Now I can enjoy these pretty fake flowers from a different view point. The only problem I had was deciding which way the flowers should cascade! 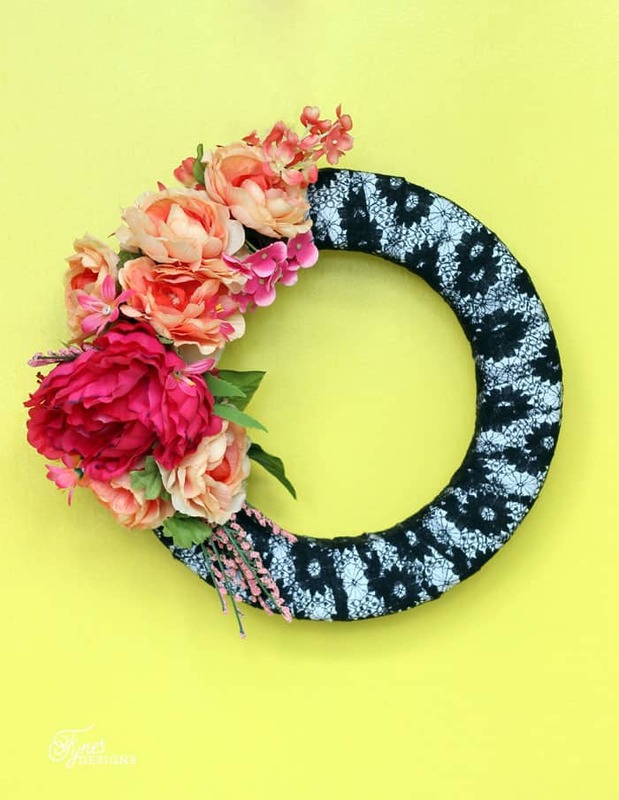 I hope you liked this easy summer wreath idea, maybe you have a floral crown laying around begging for a new life?! What a great re-purpose! Love how the wreath turned out! Thanks so much for taking the time to link up with us over at the #HomeMattersParty – we hope to see you again tomorrow!